Green Tangerine Photography now offers maternity gown rental options! Please read all rental guidelines before selecting a gown. Rentals are for GTP customers only. 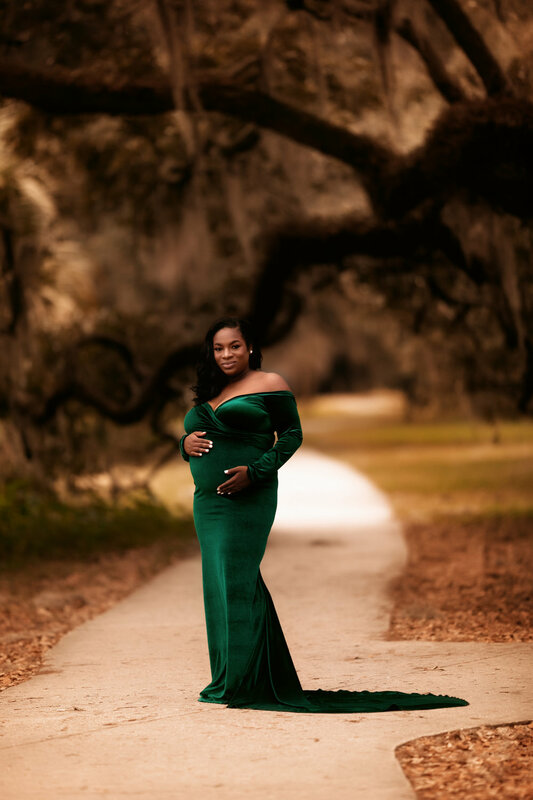 You must have a maternity session scheduled with me to rent a gown. Feel free to email me with any questions. How does the rental process work? Take a look at the above inventory and see if there is anything you like. If so, shoot me an email with your session date and the dress number you'd like. How long is the rental? Each rental is only for the date of the portrait session. You may rent more than one grown per session. How much are the rental fees? The fee for gown rental is $40-$60 per gown. This can be tacked on to your final balance or it can be paid separately. Do I need to have the gown cleaned. No. A cleaning fee is in included in the rental cost. All dresses are professionally dry cleaned. How can I see what gowns you have available for rent? Most of the gowns can be found in the photos section above. I am acquiring new gowns monthly. If you are looking for something specific that you don’t see send me an email. How do I know if the gown will fit? You can come by the studio and try it on! Just email me to schedule a date and time! What condition are your gowns in? All gowns are professionally cleaned after every rental. They are stored individually in protective garment bags and checked them for damage after each use. All gowns are in new/very good used condition. How far in advance do I need to reserve a gown? The sooner you reserve a gown the more likely it will be that the gown you want is available on your session date. Typically you will book your gown reservation after you know your session date. I’ve accidently damaged my gown. What do I do now? While I anticipate normal wear and tear any damages that fall outside of the normal wear and tear we anticipate may be charged to you at 2x the retail value of the gown. It’s best to alert me to the damage as soon as you can. - If you cancel your session and it WILL NOT be rescheduled AND proper notice is given you will be issued a full refund. 72 hours or more required for this. I changed my mind about which gown I want. Can I exchange my rental? You may make changes subject to availability. Please email me to check the availability of the gown you would like to change to.